I hope you all head a great weekend. Mine was a bit hectic and crowded with my niece’s christening and all the data analysis I had to do and having only 3 weeks left until my long vacation I have no chance for a quiet day. I have one career consulting and one workshop today, another evening workshop tomorrow and then on Wednesday we’ll have an appointment at our boss’ office to discuss the possible project financing for the next years. And we’ll better sort something out as I will end up unemployed in 2015 if we don’t. We further discuss our new strategy and whether my colleague and I still get a full-time contract (as if) or end up part-time (most likely). For me there’s a breaking point at 50%. I am not sure if I do this job any longer with only a 50% part-time contract. For giving you a reference frame: if I ended up unemployed I would get more money from unemployment benefits than I would earn with a 50% contract in the first year! That’s ridiculous! But I am digressing…. 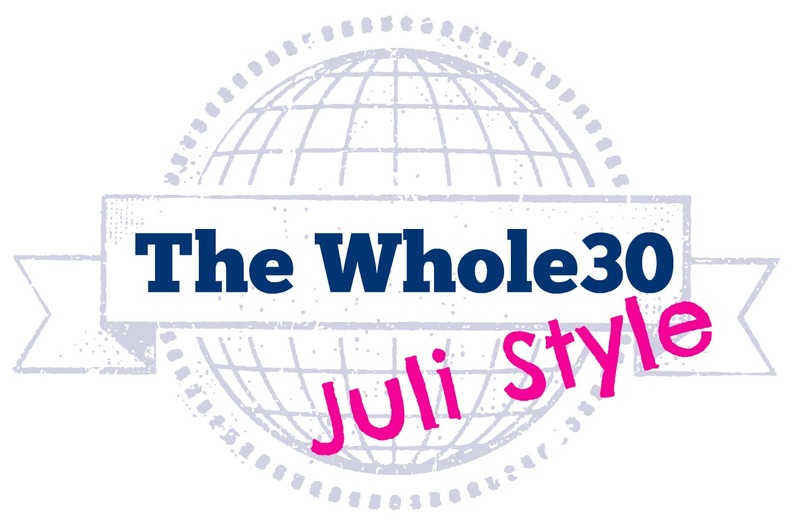 today I am popping in to tell you about my first week of The Whole30. All aboard! Take your seats, please! Ready to take-off! For the first few days I didn’t really feel deprived at all. I almost didn’t notice there was something different. The only thing was that I feel certainly limited in my food choices. When I felt hungry I almost always turned to fruit and nuts. Then on Wednesday I had a quick 20 minute lasting severe Döner craving followed by a white wine desire. But that faded quickly and didn’t reappear until now! The christening aka the cake buffet was easy-peasy and I munched on some fruits and nuts, politely declining all the booze and therefore starting some pregnancy rumors among our relatives. 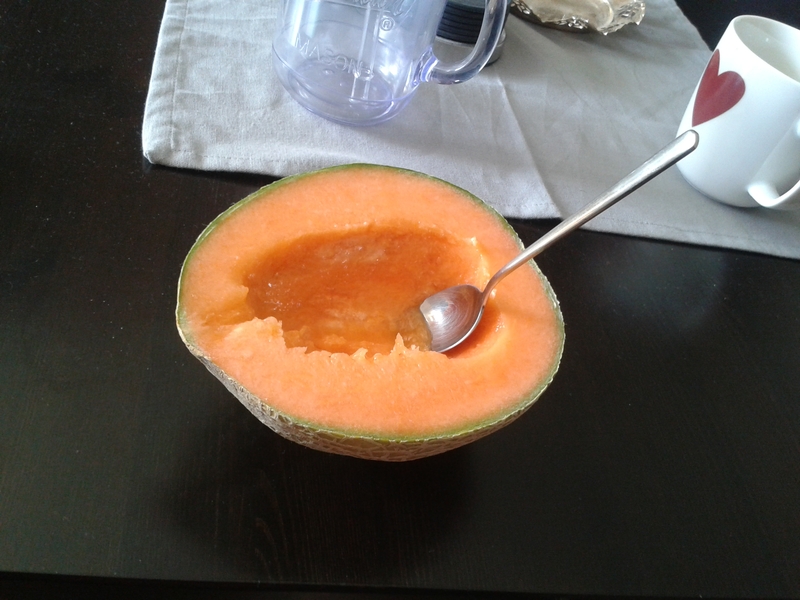 I ate massive amounts of fruit of all kinds especially melon, peaches and berries. 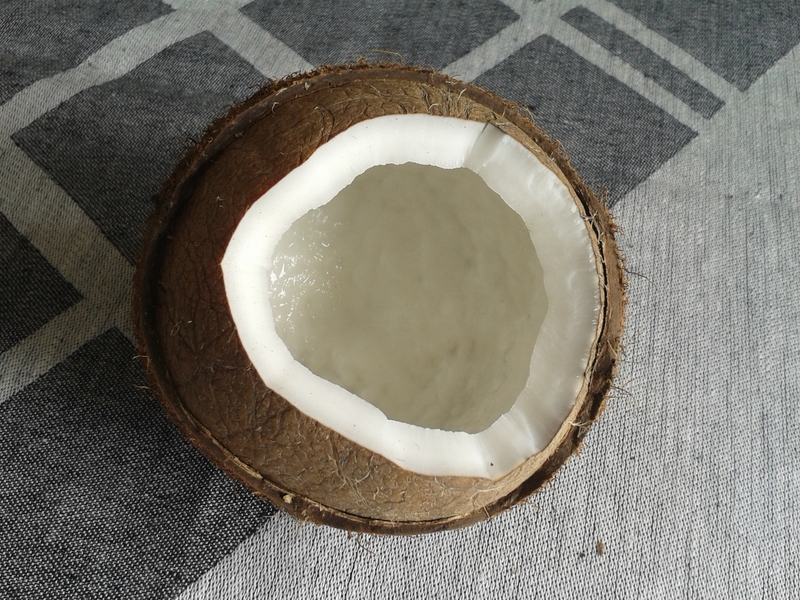 If food stays like this I am all set for 30 days! I can’t say that I feel more energy – not at all. But I am overworked and I can certainly blame workload for that state. But I have enough energy for my workouts and I really see improvement and I feel strong and energized after my workouts. I had a single fat day last week but as it’s that time of the month I can’t get all judgemental now. My skin is worse but I know this from my cleanse and detox experiences. When the toxins start to come out the skin gets worse but after about one week it will improve surely. I am worried a little if I get enough food. I really really really don’t want to undereat again! And I am a bit afraid of not hitting my caloric requirements. But on the other side I always eat. 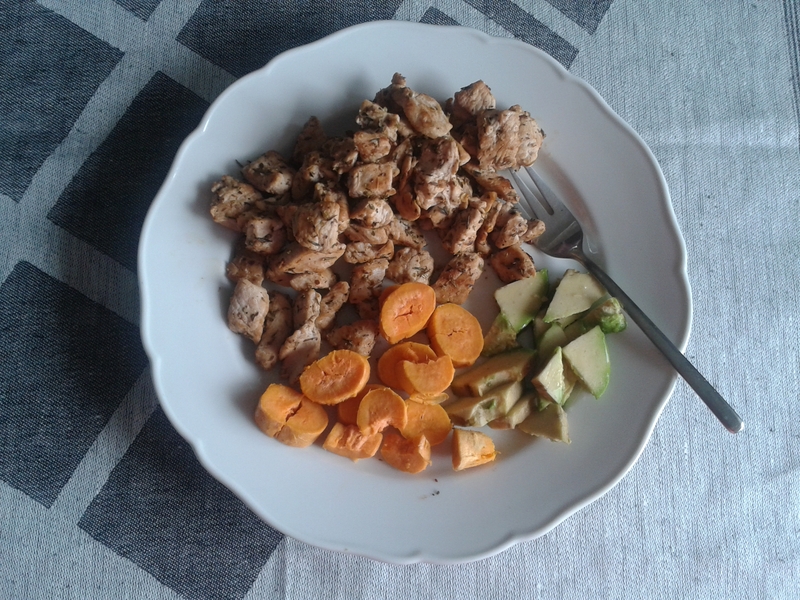 And I eat so much dietary fats and carbs and protein! This must be enough! And shouldn’t my body tell me if it isn’t? I think I need to start trusting myself! The biggest change yet and a huge improvement is my hunger! I almost never really feel physical hunger. When I say I was hungry I always mean that I should have been hungry as I felt there was the need for food. But physical hunger is something I feel maybe once or twice a week. Since starting the Whole30 I have been hungry like I don’t know how long ago! I wake up hungry and eat. I get hungry around noon and eat. I feel hungry at 4ish and snack. I am hungry in the evening and feed. It feels great! I am curious what will happen next! I need to up my protein intake. I guess it’s a little too less. Oh wow…..I still remember my German friend telling me how teachers get paid so much money compared to other professions whereas in Australia, it’s like slave labour! Glad to see so much positivity after the first week especially the hunger one- that is so important, and as long as you’re fuelling right, you’re doing it good! Hunger IS so important. I finally have the feeling that my body starts getting back in contact with my brain. It’s like they start to speak the same language again after a long period of silence. This is awesome! It sounds like so far it is really having great benefits for you like helping you find your natural points of hunger again. I need to get back in touch with my hunger too, so often I will mindlessly snack without thinking, am I actually hungry? I am so so jealous of your ability to sleep like a baby! I wish I was like that but my brain likes to use before bed time to overthink, everything possible. I hope the work thing is good news not bad news as that is absolutely madness that you would get more in unemployment than your actual job. What the? Well it sounds like week one is going really well. I’ve got high hopes for you, well except the missing cheese part. Wait, can you eat cheese on the whole 30? Good luck with work. I’ve got my fingers crossed for you. Full time all the way baby. Thanks for crossing your fingers. Full time is still not safe!